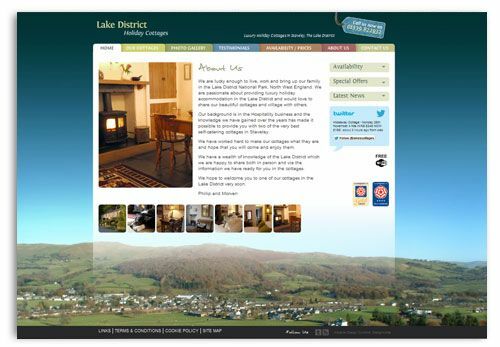 Lake District Holiday Cottages has a new website for their two holiday cottages in Staveley. The website uses a bespoke design that we created and developed in WordPress. The cottages are dog-friendly and offer a homely but stylish holiday stay. Both properties are appointed to an extremely high standard with sumptuous fabrics, high quality furniture and carefully chosen art. Lived in luxury is the stylistic approach that we aimed for when creating the site. As well as a stylish design, the functionality of the site incorporates social media feeds, image galleries, availability search and an online booking system.